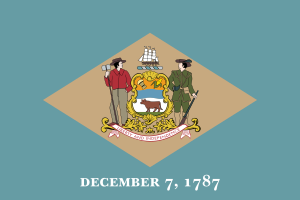 Delaware is not an overly large state in comparison to some, but within its borders over 1,200 paralegals are enjoying job security and an excellent annual salary, according to the Bureau of Labor Statistics. In fact, out of all the legal professions in the state, paralegals comprise almost half of the workforce. The number of paralegals employed is just shy of lawyers working in the area. Delaware is proud of its paralegal force and to assert that they started offering a voluntary program of state certification back in 2005. Gaining one of these coveted certificates advances professionalism, marketability for the individual, and allows them the title of DCP, or Delaware Certified Paralegal. Entry into the paralegal profession can be attained in a number of ways: on-the-job training is an option. As would be expected, such positions are usually associated with lower salaries and fewer benefits. However, many employers offering on-the-job training still look more favorably on those who have experience. While the state does not impress any specific training or knowledge, an employer might have preferences and an aspiring paralegal would do well to enroll in specialized education; some firms may even assist in the expenses of doing so. If they do not, it would be wise to invest in either night courses or an online accredited program. Obtaining certification or a degree in legal studies often gives applicants an edge. Due to the rapid growth within the field, employers have the opportunity to choose qualified professionals who either have certification or an Associate’s, Bachelor’s or even a Master’s degree within the specialty. In an ever-growing demand for these competitive positions, formal education is increasingly required by employers. Certification can be obtained by passing one of four certification exams. These exams do require some previous qualifications, so please see the chart provided. Passing one of these vaunted exams achieves the paralegal the title of certified paralegal. Those who gain a certificate either at the end of a two-year Associate’s course or take a separate program having already satisfied educational demands with a Bachelor’s degree, are known as certificated paralegals. A certificated paralegal can also be a certified paralegal but the two titles can be mutually exclusive, depending on qualifying requirements for the exams. The median salary for a paralegal in Delaware is about $44,000. As with many other states, there is no established authority to provide regulation; anyone can become a paralegal if the opportunity presents itself, as stated in the Delaware State Rule 5.3. However, the same rule decrees that paralegals are required to work under the supervision of a licensed attorney or firm. In all cases, the overseeing attorney or body is culpable for the paralegal’s professional carriage and ethics. While there is no formal authority presiding over the paralegal profession, the American Bar Association – which licenses, regulates and oversees attorneys – does step in to approve institutions of higher learning that follow a stringent educational code. In other words, the ABA has the ability to endorse legal courses given in legal or paralegal studies, which can add to a candidate’s educational credibility. ABA endorsement is separate from accreditation, which is decided by the U.S. Department of Education. This means that paralegal courses can be accredited through the Department of Education, approved by the ABA, endorsed by both or endorsed by neither. Be sure to note if one type is preferred over another when applying for a paralegal position or err on the side of caution and choose the path that leaves you the most employable. The Delaware Technical and Community College offers both an Associate Degree in Applied Sciences program as well as a certification program. The certification program requires either an Associate’s or Bachelor’s degree in any other field and is a minimum of 24 credit-hours. There is no mandatory internship for either program. Wesley College is Delaware’s oldest higher-learning facility. This private college offers a Bachelor of Science program in Legal Studies, as well as Legal Studies certificate. Upon completion of the Bachelor’s course study, mandatory internships are not required, but they are offered as optional and strong recommended by the school. The certification requires a Bachelor’s Degree in any field and 36 credit-hours within the program. Widener University Law Center is a four-year, private college that offers an Associate Degree in Applied Sciences, Bachelor of Science degree, General Certification and Legal Nursing Consultant Certification. Certifications require 60 completed undergraduate credit-hours, and internships are offered through these programs, but they are not required. Wilmington University is also a four-year private institution; it offers Legal Studies courses for earning a Bachelor of Science degree with an optional internship upon course completion. The school also offers a post-baccalaureate certification that requires a previous Bachelor’s Degree in any study. Delaware has several law firms that employ a great deal of paralegals on staff. There are many options open for paralegals who are professional in attitude and willing to be team players. Below is a list of just some of the top hiring firms in the state.